UT Idea Lab | Kaleidoskoop winners pitched their ideas standing waist deep in the ice-cold water! 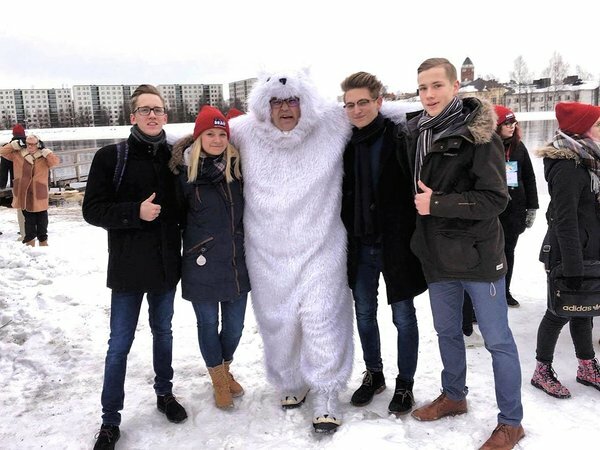 Festera and Tritsu, winner teams of our business ideas competition Kaleidoskoop, pitched their business ideas at international start-up event Polar Bear Pitching in Oulu, Finland. The event took place already for third time and there’s a specific aspect that makes this event distinguish among hundreds of other similar events – during their pitch participants have to stand waist-deep in ice-cold water! Sven Parkel, a STARTER program mentor who was supporting our teams in Oulu, admitted that they were really excited about the event: "As there are no similar events, we didn't know what to expect!". According to Sven, the competition was really high, but that ice-cold water was bit of a challenge for many contestants: “Some were struggling a lot during their pitches, whereas some managed to present their ideas just fine!" Liis Järvamägi who just graduated the STARTER program with her project Tritsu (former Triplecase) didn’t let cold water indimidate herself. „All of my focus concentrated on forwarding my message – cold water was just an adrenaline boost!“ she said. She was also well prepared – a week before Oulu she started all her mornings dipping herself into the ice-hole in Anne canal! „I practiced with staying in shoulder-length water but in Oulu we had to stay only waist-deep. Hard training, easy combat!“ chuckled Liis. Participants returned from Polar Bear Pitching loaded with great emotions. 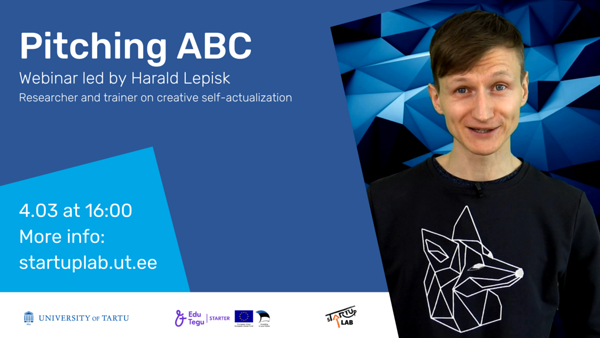 "We had a chance to hear such interesting speakers and attend workshops - for instance in brand creation workshop we got really good feedback and some good tips on how to build our brand. The final event in the evening was also really impressive. It was so good to see Estonian entrepreneur Siim Taal pitching there! We already imagined ourselves walking on the red carpet towards the ice hole and selling or idea in the ice-cold water in the next year," young entrepreneur shares. "During those two days we also had a chance to network with entrepreneurs from all around the world; share thoughts, business cards and learn some new things. On the first day we met so many nice and success-minded people - John Bates for example! What I liked the most about the whole event that we had a chance to spend time together with successful people - you must do that to become successful yourself! And in the end we learned that if you have an idea and you want to make a change, you have to be wildly consistent. What is sure is that we're only moving forward!" STARTER program is funded by the European Social Fund.